Lintfrey Longfellow and Mr Bear Branches were the very best of friends and spent a lot of time talking. Their favourite thing to do was watch the clouds. 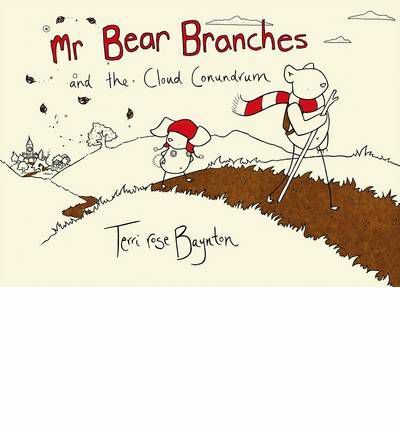 Lintfrey would love nothing more than to sit amongst the clouds, but Mr Bear tells him clouds aren’t for sitting on. This makes Lintfrey sad and Mr Bear sets out to find a solution to his friends cloud conundrum. This story is cute as are the illustrations, however I will say there is very little colour and the pictures are simplistic (but still appealing). There is quite a lot of text and some rather large words and concepts mentioned, such as conundrum and quantum physics. This story does hold a certain appeal but probably not for the very young or those with short attention spans. The overarching themes of friendship and doing something great for a friend are universal ones and ones worth looking at.